The North Queensland Cowboys are eyeing off Brisbane fullback Jordan Kahu as a replacement for sacked star Ben Barba, with reports stating the deal is close to being finalised. Cowboys officials have reached out to Kahu’s management in a bid to sign the Kiwi and secure a release from the final year of his contract with the Broncos. The deal is said to be a one year offer with the Cowboys having at least $300,000 to spend following the axing of Barba. North Queensland has been inquiring about several players at rival NRL clubs to fill the void at the back. South Sydney star Alex Johnston was linked to the Cowboys but after coach Wayne Bennett ruled out the potential move, North Queensland started making inquiries elsewhere. 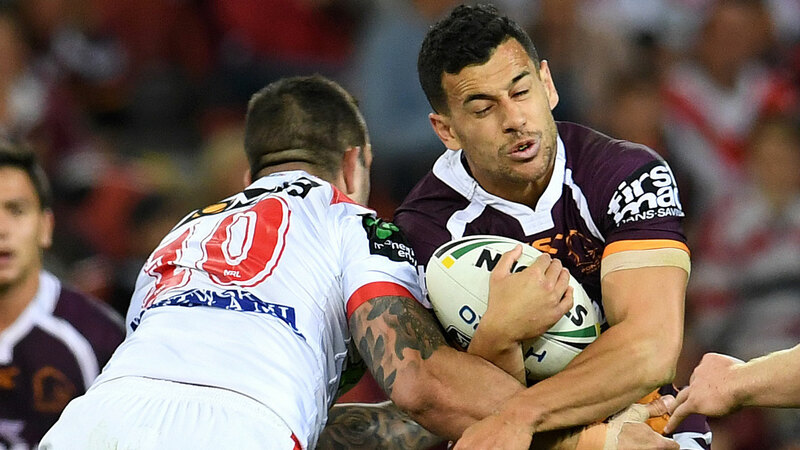 Kahu was going to struggle to get game time at Red Hill, with the Broncos backline stacked with stars Darius Boyd, Jamayne Isaako, Corey Oates, Jack Bird and James Roberts. “Kahu is seen as a ready made replacement for Barba, he can fit into the number 1 position and he also has the added benefit that he can goal kick after the Cowboys lost Johnathan Thurston last year,” said Nine’s Ben Dobbin. However, the Cowboys won’t sign off on the deal until early next week after Kahu returns from his commitments with the New Zealand Maori side in the All Star clash on Friday night. “Jordan would be a great signing for the Cowboys,” Justin Hodges told News Corp.
“He has always wanted to play fullback so with that spot available now it would be a good move for him. Kahu has played 95 games and scored 42 tries for the Broncos since making his NRL debut in 2013.